The Evening Entertainment of our Big Quiz got off to a great start at the beautiful, picturesque setting of the International Fire Training Centre in Darlington. As our ever keen teams from SERCO were up and out of their seats in the wonderful function suite to take part in the first round of Team Challenge Company’s Big Quiz or was it to have one sneaky eye on the Wales match? With an ever smart suited and booted audience we were on our very best behaviour! One team, “Biggles” managed to start off the fun by gaining 50 points in our fast paced “Hit or Miss” round setting them comfortably in the lead. As we moved on to our “Hollywood Year Book”round, the teams were becoming more and more competitive. The movie whizzes of the table were on top form with some gaining lots of points. Having said that, we still can’t believe “Bear Behind” thought Sandra Bullock was Michael Jackson! Next up was “General Knowledge” – just look at those photos of brains straining! “The Frog Chorus” managed to win that round with a fantastic score of 100 points! Following this was our “Questions in Sport” round which only put the sober ones to the test! The answers were unpredictable and some teams even lost points on the push ups - so much for winning double points on this round! We cruised through a number of other rounds including “Cars of Fame”…yes it’s a Batmobile get over it! The mascots came in thick and fast including teams playing them in the movie round and on the ever challenging “Guess What Guess Where” round where the impressive knowledge of some well-travelled teams stretched as far away as Middlesbrough! Then came the “Name That Tune” round with big points up for grabs but it was points we were looking for not Karaoke or a spot on Britain’s Got Talent! As the Big Quiz came to a finale it was time for many a tune too far…shame but at least you pleased the audience! Time to add up the scores. After a fantastic start, unfortunately there is always one team who has to go home with the dreaded wooden spoon, and sadly it was “No Ducking Chance” who only managed to get 330 points! In 9th place was “Bear Behind” with 340 points, “Biggles” just pipped them into 8th place with 350 points, and in 7th place with 370 points was team “The Velchers”. In joint 3rd were “The Frog Chorus” and “Polaxed” with 430 points. Second place were “Duxford” with 480 points. However, taking home the Team Challenge Company trophy was the consistently great and with an impressive score of 510 points was The Rat Pack! Overall the night was a great success and we would like to say thanks to everyone who took part. 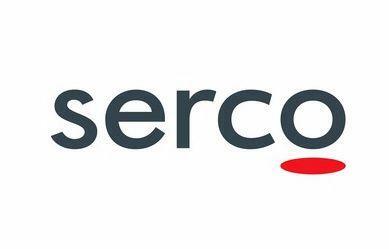 Also huge thanks to Lynn for organising this Evening Entertainment event and all the staff at SERCO offices for all their kind assistance throughout the evening. We shall return… and we hope to see you all again soon.